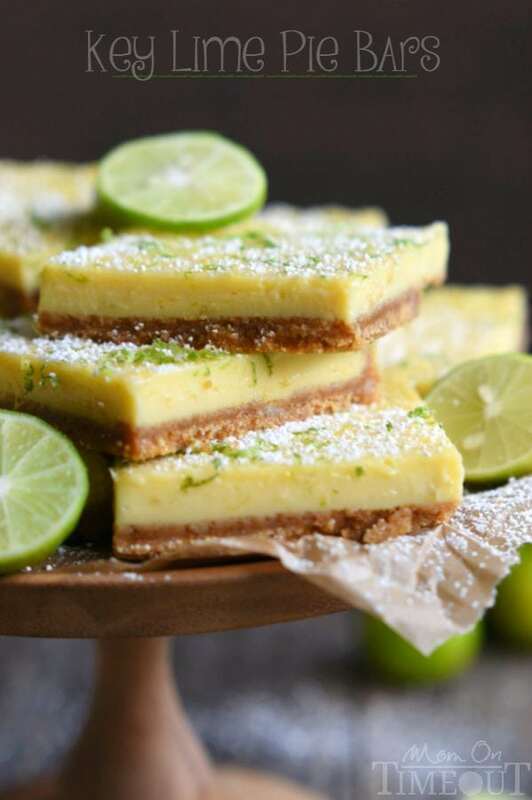 These Irresistible Key Lime Pie Bars are just that – IRRESISTIBLE! Made with the perfect graham cracker crust and fresh key lime juice, these bars are bound to become your new favorite dessert! So do you guys remember the Key Lime Pie I made a few months back? Yeah. I called it Key Lime Pie but I actually couldn’t find any key limes so I just made it with regular lime juice. The verdict? Ridiculously good. 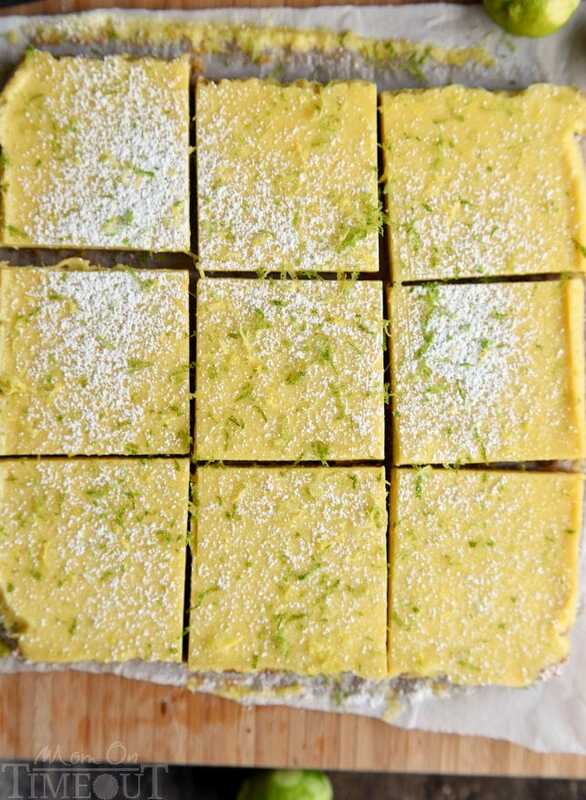 And, you could totally sub in key lime juice in the recipe, obvi. Buuut, a few of you were like, “What the heck Trish? ?“, so, for these key lime pie bars I stepped up my game and used actual key limes, juiced those babies, and made these legit. 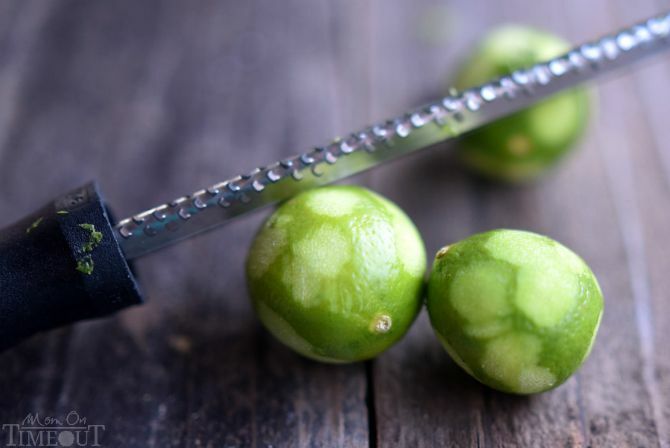 A bunch of key lime zest also made their way into and on top of these bars for the ULTIMATE key lime pie bars EVER. My handy dandy zester made short work of these key limes. So let’s start with at the beginning with the graham cracker crust. Because, duh, that’s how key lime pie bars should ALWAYS start. The crust is such a key component to these bars because it needs to withstand the cutting and hand-holding that happens before they can be devoured. 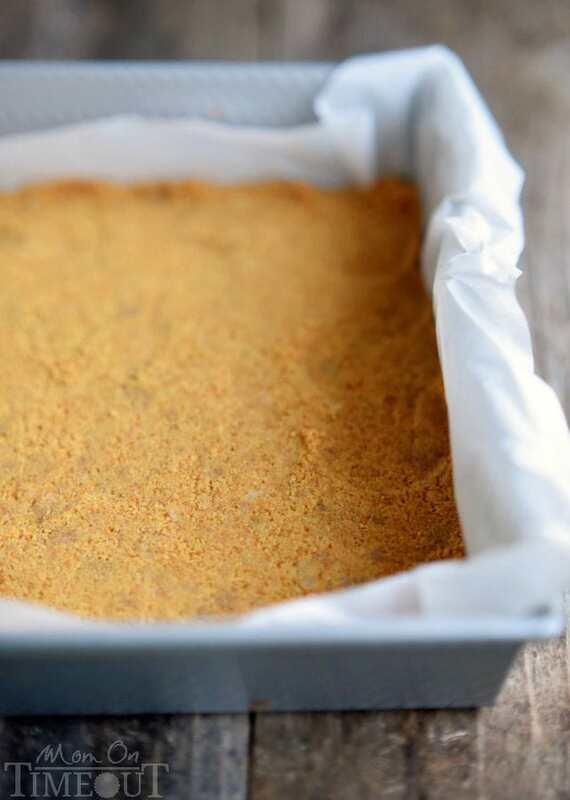 Butter, graham cracker crumbs, and sugar is all it takes – it’s the ratio that makes the difference. And the quality of ingredients of course. 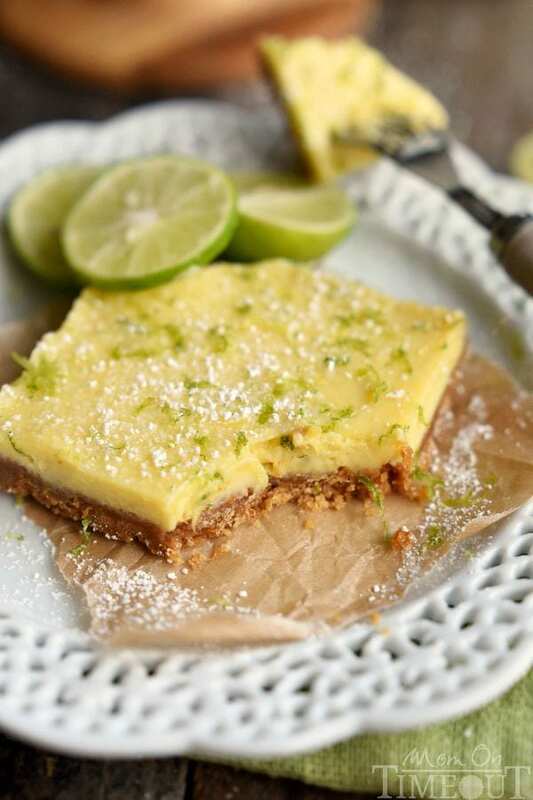 I am excited to be partnering with Challenge Butter as an ambassador again this year and even more excited to be using their top-quality butter in my recipes, including these Irresistible Key Lime Pie Bars. Challenge Butter is made with 100% real cream butter – nothing artificial – just the way I like it. No hormones. No additives. No fillers. And straight from the farm to the fridge in just 2 days – can it get any fresher? You’ll notice the 5 egg yolks in the recipe below. These yolks create a richness and creaminess that will have your friends and family begging for your recipe. (Just send them my way!) 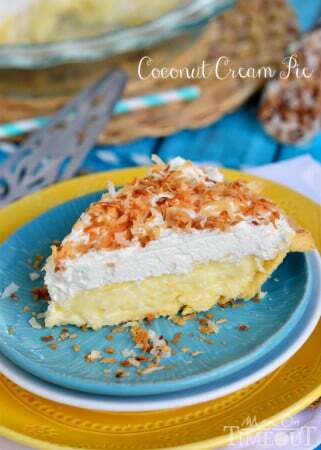 Sweetened condensed milk, fresh key lime juice and zest round out the perfectly tart filling. 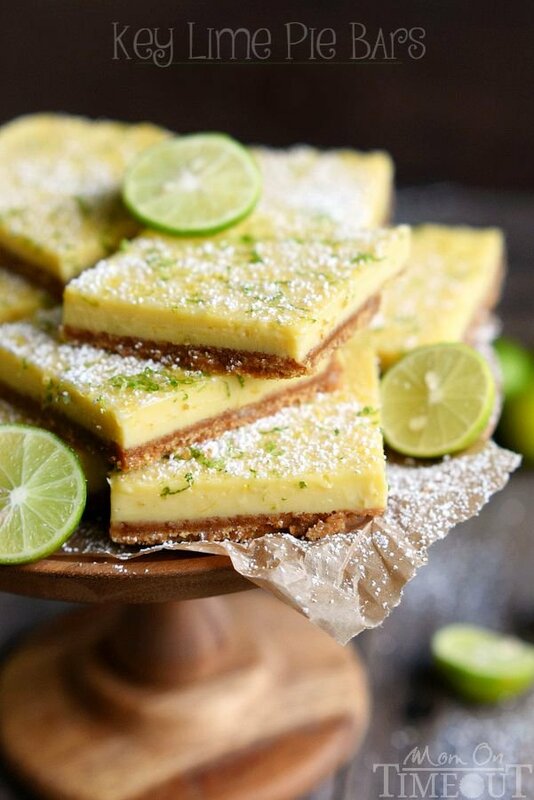 The bars are baked to perfection, chilled, and topped with a generous dusting of powdered sugar and even more key lime zest. I like to zest a lemon too for some additional color. And then finally, when the pictures are taken, it’s time to dive in. These bars are not only gorgeous but utterly delectable as well. If you prefer a thicker bar, bless you, just use an 8×8 inch baking dish instead of the 9×9 inch I used here. Take these delicious Key Lime Pie Bars to your next BBQ, picnic, or family gathering – you won’t regret it! 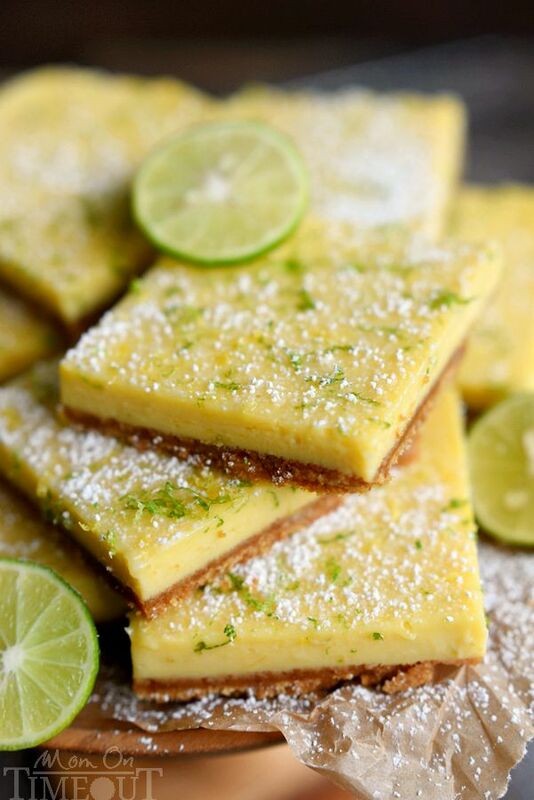 These Irresistible Key Lime Pie Bars are just that - IRRESISTIBLE! Made with the perfect graham cracker crust and fresh key lime juice, these bars are bound to become your new favorite dessert! Whisk the sweetened condensed milk, egg yolks, lime juice and zest together in a medium bowl. Pour over cooled crust and bake for 25 minutes. Let the bars chill before serving. Dust with powdered sugar and sprinkle with additional zest if desired. Cut into bars. 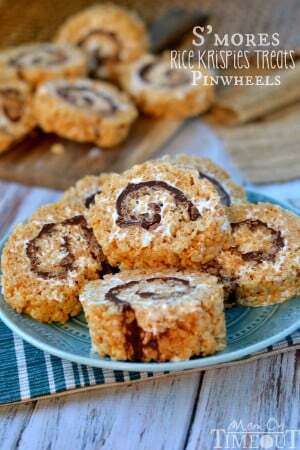 More sweet treats to try! 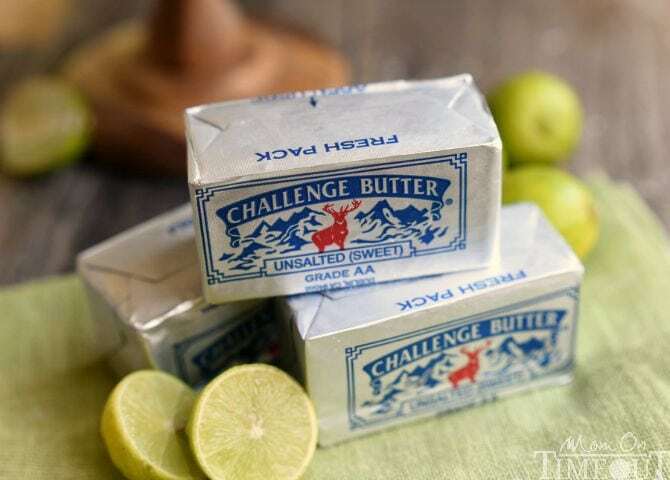 Disclaimer: As an Ambassador for Challenge, I was provided product and compensation for this post by Challenge Butter, but all opinions are, as always, 100% my own. I LOVE Challenge Butter! Thank you for supporting the brands that make Mom On Timeout possible! These were so good! I made them for our family dinner on Sunday (added some green food coloring for our St. Patrick’s Day theme) and everyone loved them! 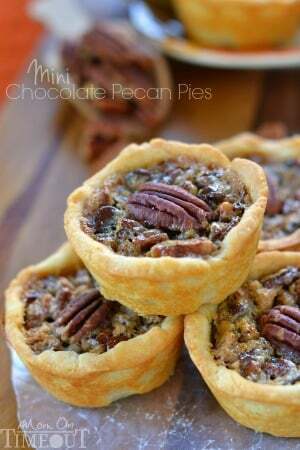 The recipe doubles perfectly for a 9×13! Excellent! I’m so glad you enjoyed the recipe Michelle! Oh yes Winnie! This is the one you want to make!